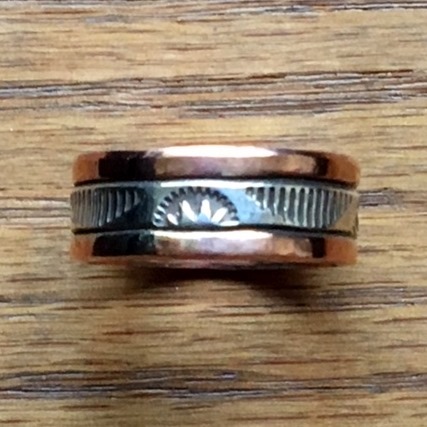 This men’s or ladies ring is made out of heavy copper with a stamped sterling silver band around the center. Made by Navajo artisan Wylie Secatero. Size 10 only.